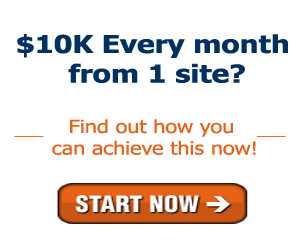 ebook of success dot com has over 60,000 actif members now and is geneting over 200 new members per day from over 300,000 unique visitors per month (not including RSS readers). The site is targeted to Internet entrepreneurs, investors, tech heads, gears heads and interested consumers. ebook of success dot com offers multiple ways to build your brand and get your message to our large and loyal readership. Ad buys are sold on a per month period using PayPal subscription service. Ads will auto renew every month unless you cancel the subscription. The stripe ad is a text ad appearing on the top of the courses or below. It’s the first element to load and the first thing readers see when visiting the site. The ad is locked to the top of the course so the reader always sees it. Your banner ad can have 468*60 dimension. Only ten rotations are available at any one time. Price is $125 per month. Order your ad below, then send the ad description to ads@ebook-of-success.com. The 468×60 ad appears on the top of every page. Only three ad rotations are available. Pricing for the unit is $125 per month. The banner can not be bigger than 30K in size. Animation allowed but no Flash. If you’re interested in securing a sponsorship ad, Email your ad to ads@ebook-of-success.com, and pay using the PayPal button below. The 300×250 ad is embedded into the “advanced courses” page. Over 20,000 banner impressions per month. Your ad will go in rotation with nine other banners. You may purchase more rotation if you wish your ad to show up more often – buy ten rotations and you’ll own the entire ad spot. Price per rotation is $50 per month. The banner can not be bigger than 25K in size. Animation allowed but no Flash. If you’re interested in securing a 300×250 Embedded sponsorship ad, Email your ad to ads@ebook-of-success.com, and pay using the PayPal button below.